The Infiniti brand personifies Nissan’s upscale vehicles. It took its first bow in 1989 in the USA and arrived in Europe in 2000. By 2011, the Infiniti global network of resellers numbered over 230 in 17 countries. Alongside the marketing of its various models, Infiniti is also present in Formula 1 as a sponsor of Red Bull Racing. Infiniti also participates in the Indy Lights championship as an engine supplier. 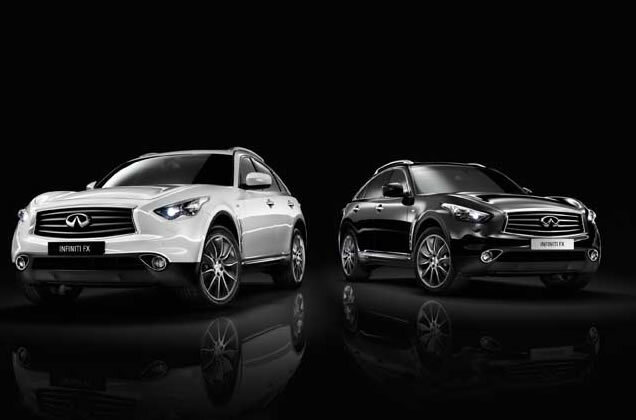 In Belgium, Infiniti comes in six exceptional models. The Q50 sedan is a technological jewel, while the Q70 is a luxury sedan with a character of fire. Lovers of hard-line performance will choose the Q70 and fans of elegance will opt for the Q60 cabrio or coupé. The QX50 is for lovers of intense coupés, while anyone mad about crossovers will have only have eyes for the QX70. The common denominators of all these Infiniti vehicles? An exclusive design, an unexpected luxury and wonderful dynamics – a sumptuous combination hitherto unknown in the world of the automobile. An unspeakable pleasure shared by both driver and passengers. A delight that will not succumb to the vagaries of time since Infiniti provides Mobility Services 24 hours a day, 7 days a week. And a comprehensive warranty for the first three years (or 100,000 km) including the paintwork. And 12 years if the bodywork is perforated due to corrosion. Discover the Infiniti range in Brussels: you will be charmed by the cozy environment for your Infiniti Centre. Infiniti has also found success with its involvement in Formula 1. Sebastian Vettel is the youngest winner of a Grand Prix, youngest F1 champion and now at the same level as Prost, Fangio and Schumacher with four consecutive titles in F1 – and he hasn’t finished with records yet. Associated with Infiniti since 2011, Vettel’s teammate is Daniel Ricciardo, the last winner of the Belgian Grand Prix at the legendary Spa-Francorchamps. Infiniti’s challenges are: rigour, excellence and determination to be the best. On the road and on the track.